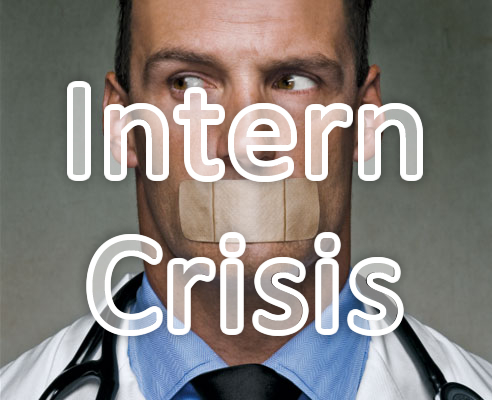 Currently in Australia we are facing an intern crisis which has culminated in a series of talks over the past couple of weeks. Contrary to popular belief this is not something new but has been steadily growing each year. Governments (both at a State & Federal level) along with the AMA, AMSA and other interest groups have been trying to formulate a solution that works for them. Just recently, the Federal Health Minister Tanya Plibersek made a $10 million commitment to address the medical internship shortfall. This comes at the expense of the Government’s Prevocational General Practice Placements Program (PGPPP - a program which encourages and supports GP Placements). While some parties in particular AMSA were happy about this announcement, they were concerned with some of the conditions and consequences. Notably, Dr Hambleton from the AMA outlined that the current proposal is more like a short term fix then a long term solution. “The AMA urges all the Health Ministers to look beyond band aid solutions and the Commonwealth-State argy-bargy to instead address the long-term need to fund and build greater capacity across the whole medical training pipeline,” Dr Hambleton said. While I normally try to avoid politically charged topics on this blog, I feel like there are a couple key points to raise. One-off funding: This to me highlights the quick-fix nature of the current solution. Yes there are now 100 more intern places for this years graduates, but what happens next year when more medical students are expected to graduate. Drawing funding from other Training Programs: Redistributing the funding away from a program like PGPPP, which encourages junior doctors to work in General Practice, disrupts training opportunities further down the line. The government should be advocating and encouraging junior doctors to consider becoming General Practitioners, as one of the key front-line groups of the healthcare system. Improvement in the delivery of primary care is beneficial in minimising or preventing acute healthcare crises and the cost to the hospital system. International Medical Students need to be aware: Here's where I may come across a bit harsh, but I feel that international medical students also need to take personal responsibility for being aware of a country's health system. If I was going to apply to a medical school in the United States I would investigate not only the medical school, but my job prospects after graduation. This intern crisis while reaching a new high this year is not new, and as far as I'm aware medical schools do not guarantee international students internships upon completion of training. Therefore, you took a risk in accepting a place in an Australian medical school. Unregulated Medical Schools: Medical schools are one of the driving forces leading up to this intern crisis. In my opinion, some medical schools have been taking more international medical students than the current health system can handle (for what I can only guess is a profiteering exercise). Fortunately the medical deans have recently stated that they will limit the intake of international full fee paying students in 2013, and to look at how the future intake of international students can be more closely linked to workforce need. This can only be a good thing for all parties concerned in the long run. I'm happy to hear other people's opinion on these issues and you can do so in the comments below. For a rundown of what's been taken place (courtesy of AMSA).